This guide is for installing and using the Homebrew Channel on your Wii. There are many other guides out there, but I assure you my guide is all you need to run homebrew. The Homebrew Channel is a self-updating homebrew application loader by Team Twiizers which allows users to load homebrew applications without having to run an exploit every time. 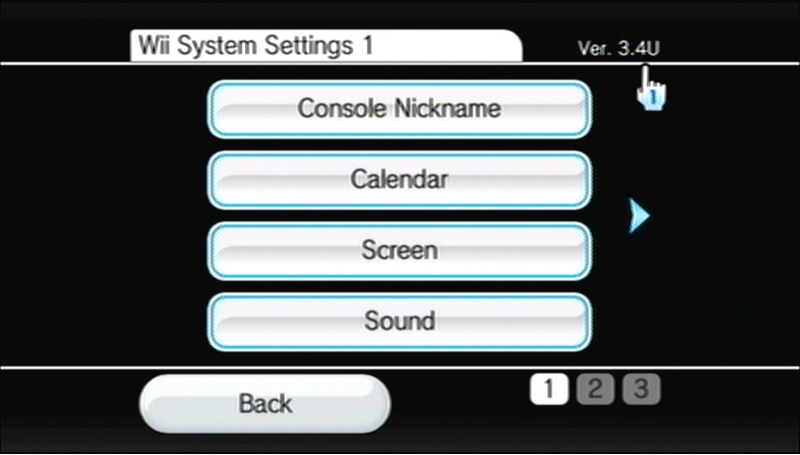 Once installed, users can access the channel from the Wii System Menu just like any other Wii channel. It can launch homebrew applications from an SD or SDHC card or via USB. You can install the Homebrew Channel as part of the HackMii Installer. In order to install the Homebrew Channel you need to run an exploit. See "Exploits" below. Smash Stack: This method is important because it will work on ANY System Menu version (including future versions). It is an exploit of the Stage Builder in Super Smash Bros. Brawl and the Japanese version 大乱闘スマッシュブラザーズX. It has recently been made to work with PAL (European/Australian) and Korean versions as well as the previous USA and Japan versions. Indiana Pwns: The most recent exploit developed solely by Team Twiizers. It is an exploit in the savegame of Lego Indiana Jones: The Original Adventures. It will work on all current System Menu versions and U, E, and J consoles. Yu-Gi-OWNED! / Yu-Gi-Vah: These are an exploit in the savegame of Yu-Gi-Oh 5D's Wheelie Breakers. They both work on all current System Menu versions. Yu-Gi-OWNED! works for only the PAL(Eur/Aus) version. Yu-Gi-Vah is the same exploit but modified to work for USA and Japan versions. Bathaxx: This is an exploit by Team Twiizers and lewurm. It is an exploit in the savegame of Lego Batman: The Videogame. It will work on all current System Menu versions and U, E, and J consoles. Return of the Jodi: This next exploit is by Team Twiizers and roto. It is an exploit in the savegame of Lego Star Wars: The Complete Saga. It will work on all current System Menu versions and U, E, and J consoles. Eri HaKawai: By delroth and giantpune, it is an exploit in the savegame of Tales of Symphonia: Dawn of the New World. It will work on all current System Menu versions and U, E, and J consoles. LetterBomb: This is the newest exploit and the spiritual successor to Bannerbomb. It is an exploit of the System Menu itself, specifically the Wii Message Board. If you are on System Menu 4.3 you can use this method. It works for all regions. Wilbrand: An alternative to Letterbomb by giantpune. It uses the same exploit but can be created locally on a PC rather than on the Letterbomb website. It will work on all System Menu versions 3.0+ and works for all regions. Note: You can use any game exploit listed above to install the Homebrew Channel on a Wii U in Wii mode. Bannerbomb: Arguably the easiest way to install the Homebrew Channel. It is an exploit of the System Menu itself and has now been fixed. If you are on System Menu 4.2 or less you can use this method. It works for all regions. Twilight Hack: The original method to install the Homebrew Channel. It is an exploit in the savegame of The Legend Of Zelda: Twilight Princess. If you are on System Menu 3.4 or less you can use this method. This page on current Wii exploits may be easier to follow than the above section. Since you are using my guide, please help me out by clicking here!